Fall is such a fun time of the year to cook. I’ve been collecting fun pins over on my Thanksgiving Board for you to check out. I hope you find something new to create. You can find the above pins on that board, too! 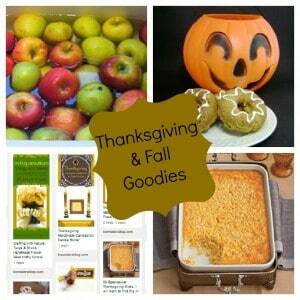 Do you have any fun Thanksgiving or Fall goodies to share from your blog? If so stop over and link up at 3 Boys and a Dog, Crystal and Company, or Susie QT Pies! I can’t wait to see what you link up. We are always looking for more printables so be sure to link those up so that I can pin to this Pinterest board.